Three more playable characters confirmed. 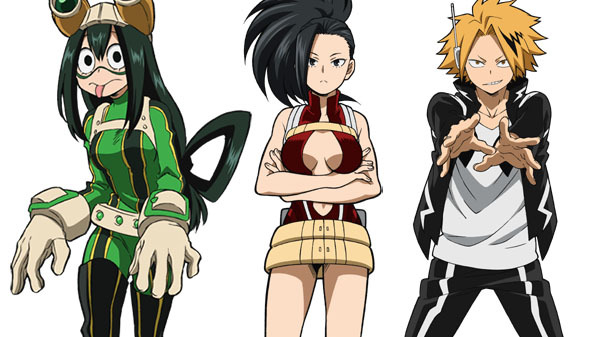 Tsuyu Asui, Momo Yaoyorozu, and Denki Kaminari will be playable characters in My Hero Academia: One’s Justice, the latest issue of Weekly Jump reveals. 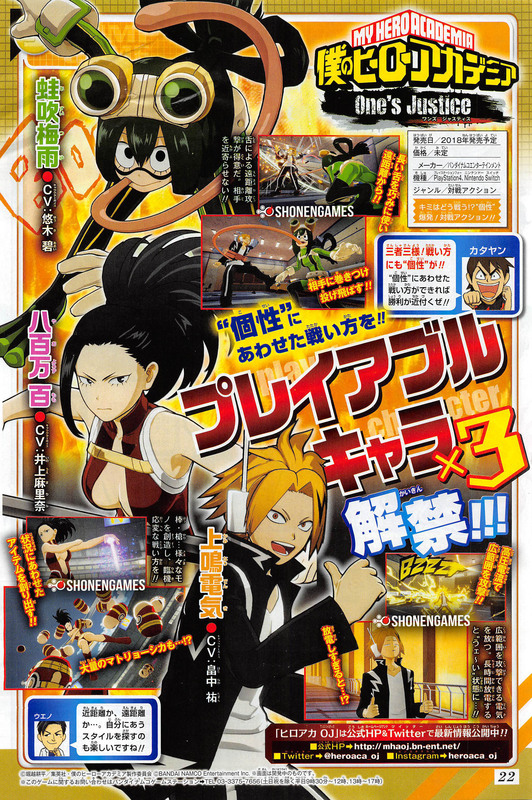 Previously confirmed playable characters include Izuku Midoriya, Tomura Shigaraki, Katsuki Bakugo, All Might, Ochacho Uraraka, Tenya Iida, and Shoto Todoroki.